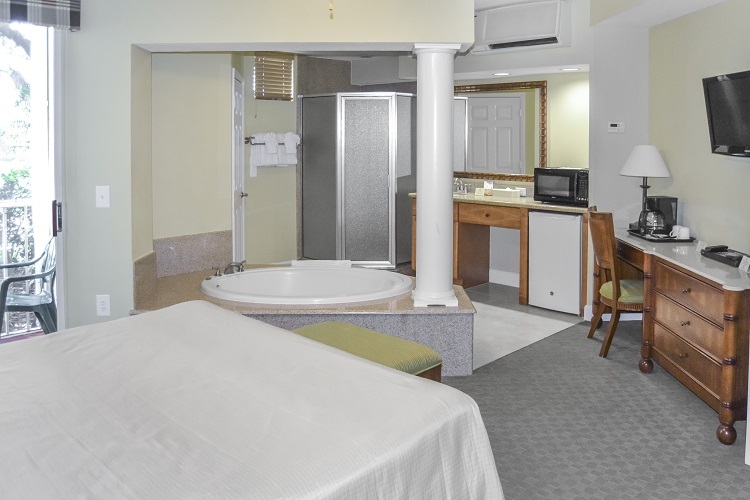 Equipped with a mini-fridge, microwave, and coffee maker, you'll have everything needed to get away for the weekend. After a day of adventure, take a relaxing soak in your Roman bathtub or curl up on your plush king-sized bed and enjoy a movie. The studio accommodations at Cypress Pointe Resort are perfect for weekend warriors looking to spend the day exploring all that Orlando has to offer. Equipped with a mini-fridge, microwave, and coffee maker, you'll have everything needed to get away for the weekend. Whether you plan to spend the day catching some rays by the pool or exploring the region's many attractions, you can start off on the right foot with a fresh pot of complimentary coffee. When the day's adventures are done, a plush, king-sized bed will be ready when you return.